Get the latest and fiercest plus size fashion on October 17-19, 2014; 11AM-11PM (FRI-SAT)/ 5PM (SUN) at the Erzullie Booth, Trendsetter’s Bazaar, World Trade Center, Pasay City! Personal stylists are on board to help you pick and find the perfect outfit and SAVE up to 50% off on all selected items. 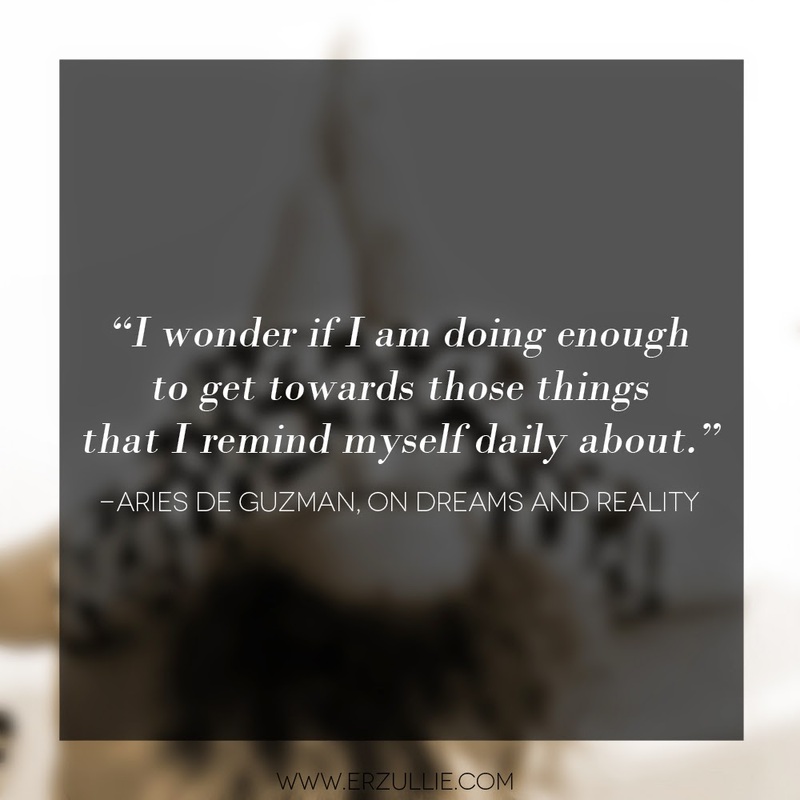 It has been a while since I have blogged something personal. Things have become mechanic lately for business purposes. So I guess that has reflected to my writing as well. 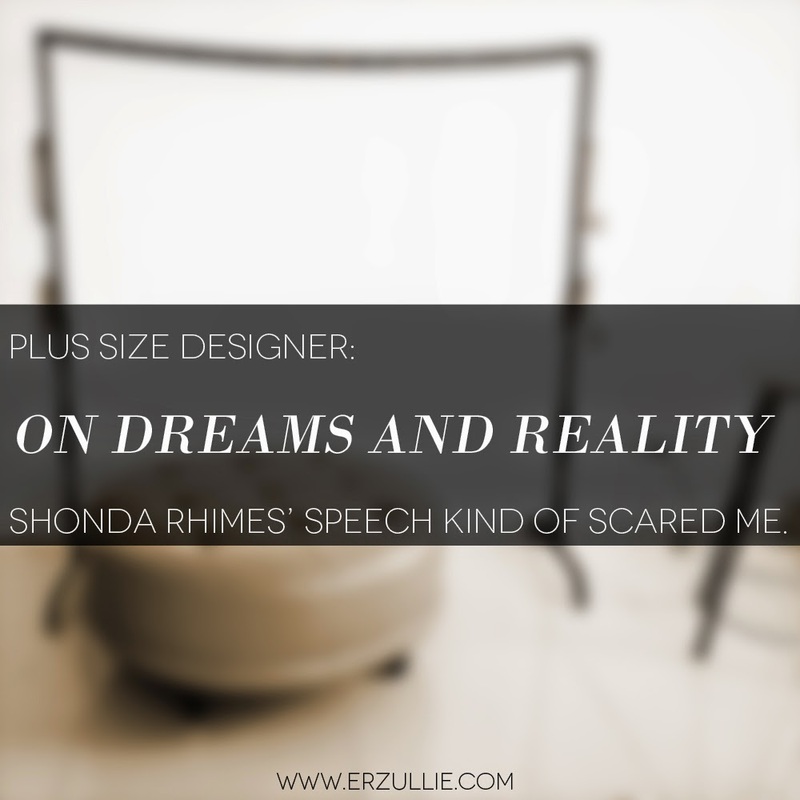 I look at the Erzullie blog and what was once a source of great plus size information, is now all about just information. The humanity is gone. For that, I apologize. So now, let me change the tune and hopefully, you girls have the time to share some thoughts with me. I promise it’s not rambling. 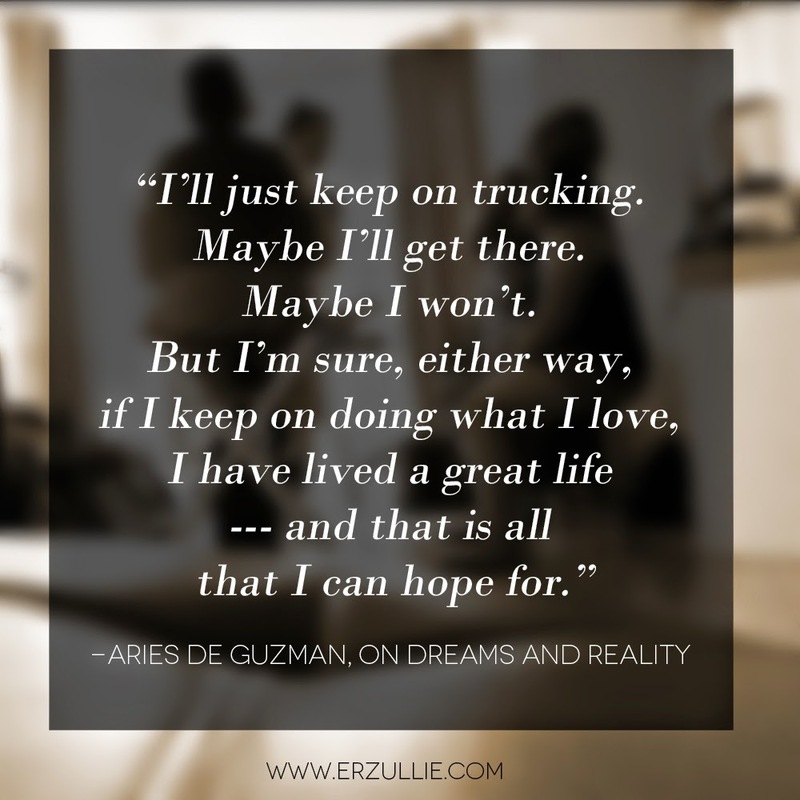 I want to talk about dreams and reality. I saw this comic strip about Shonda Rhimes’ speech. She is a great writer, director and producer. The moment I saw it, I was inspired/scared. To be honest, being the hippie that I am, I wonder if I am like those 2 girls in the comic panel. 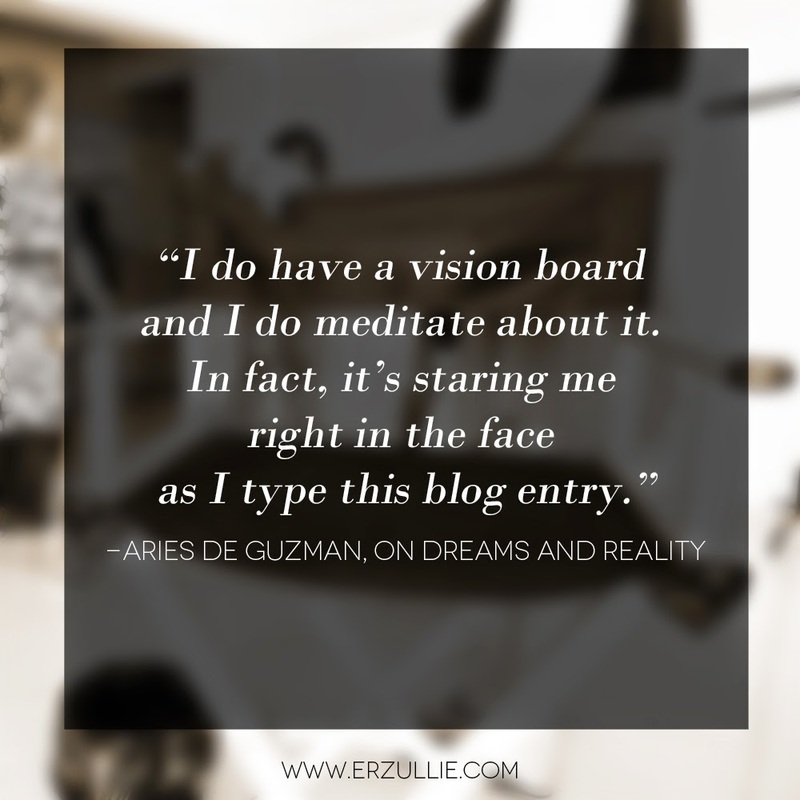 I do have a vision board and I do meditate about it. In fact, it’s staring me right in the face as I type this blog entry. At the same time, I wonder if I am doing enough to get towards those things that I remember myself daily about --- a building with well kept, creative employees for Erzullie, consistently cracking new grounds for plus size fashion and a simple condo with barely any stuff in it (only the necessities). If we measure progress for its own sake, then I guess I have in a way. From doing photoshoots in abandoned houses, we now have our own studio with lights (Thank you Sir Mark!). From not having a showroom, we now have a space. From doing exchange deals, we have advanced to paying a creative team for their talents. From zero repeat customers, we have developed such strong relationships with the women that have been buying since 2010. All of these marks are great, but I still question --- am I still on the right way towards what I want to become? 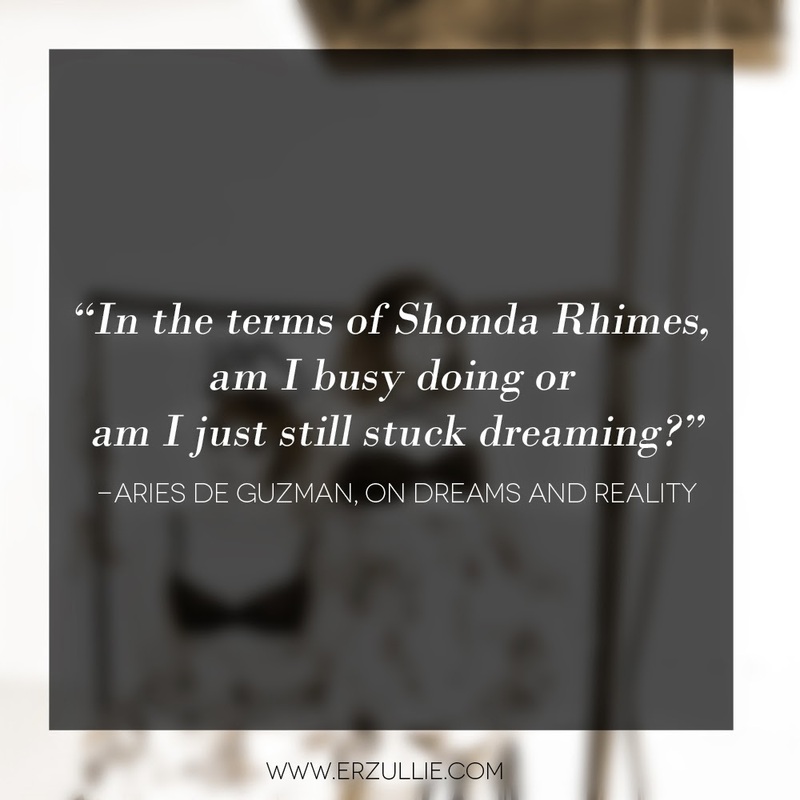 In the terms of Shonda Rhimes, am I busy doing or am I just still stuck dreaming? You’d think I would have the answer for that, but I really don’t know. To be honest, I want someone to tell me, but I am scared of the answer. So, I guess, this is where I leave it. I’ll just keep on trucking. Maybe I’ll get there. Maybe I won’t, but I’m sure, either way, if I keep on doing what I love, I have lived a great life --- and that is all that I can hope for.